So you want to play soccer in college? Great! Setting that goal is the first step in the process and it is then very important to look at the type of colleges that are good fit for you first. Before you even worry about soccer, make a list of the schools that you are interested in based on factors such as location, size, academics and cost. Once that is done it is time to start contacting coaches. Let’s take a look at some of the best ways to write a college recruitment letter, compare good and bad sample letters from athletes to coaches and put you on the path to being recruited to play soccer in college. First off, don’t make the biggest mistake of the college recruiting process – assuming that it all starts with you impressing a college coach on the field. Soccer is of course important in the college recruitment process, but in most cases your first impression on a college coach will not be on the field, it will be through an introductory email. No matter the level – NCAA DI, DII or DIII, NAIA or junior college – most coaches put a lot of focus on recruiting players that have contacted them through email first and foremost. Why is email so important? For one, there are rules that limit how college coaches can contact players, but players can always contact coaches through email. And even if a college coach cannot email back they are all definitely keeping track of the players that email them. But most importantly, an email can get all the pertinent email to a coach in a very quick and efficient manner. And by having this info in an email the coaches can input it easily into a variety of systems and databases that are used for recruiting. While coaches do reach out to players initially as well – sometimes your play on the field can actually stand out and draw attention – realistically, for most players, if you don’t have a good college recruitment letter and reach out to coaches first, your chances of being recruited are drastically reduced. The last step before emailing your college recruitment letter to coaches is to establish an email address that is just dedicated to college recruiting. Do not use personal addresses you use for other email with friends for contacting college coaches. The recommendation is to establish an email address that has “First Name, Last Name, Graduation Year” and that is it. For example: SallySmith2020@gmail.com or JohnSmith2020@outlook.com. While something like soccergirl@gmail.com might seem like an email address that would show your love of the sport, it is still not acceptable because it is not as professional. Personalized to the Coach — Do not use a generic address such as “Dear Coach” in an email. Take the time to look up a coach’s name on the school athletic website. 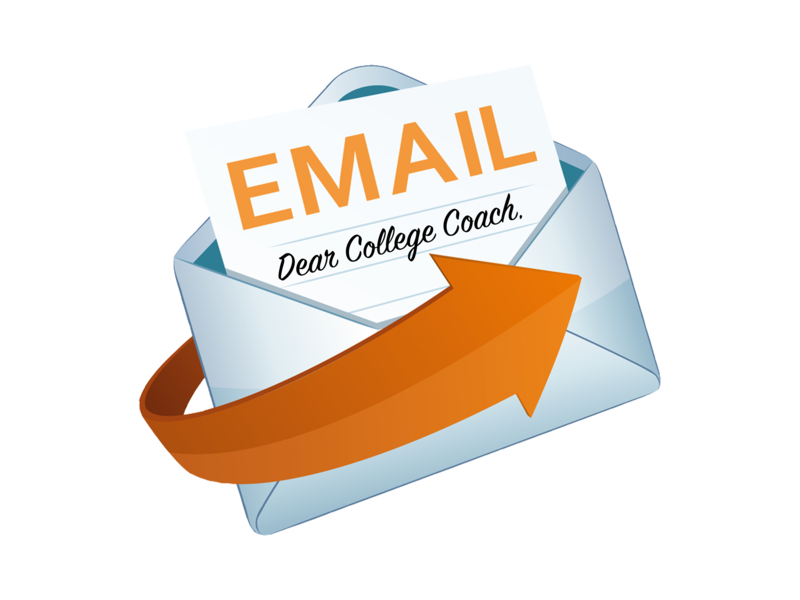 College coaches may not read an email if their name (correctly spelled) is not included. Be Short and Sweet — Coaches get a lot of emails and are not looking to read an entire life biography. They want the basic facts and some pertinent information that can show why you are a fit for their team. The initial contact email should include some key information. It is also very important at the same time as sending a college recruitment letter email to a college coach to also go to that team’s website and fill out any online college recruitment forms or questionnaires. The best chance of connecting with a coach is to send an email and fill out the recruitment form – don’t just do one or the other. So now you have sent your college recruitment letter to a coach! Time to sit back and wait for the recruiting onslaught to begin, right? Well, not exactly. As mentioned before, coaches may not be able to contact you back due to recruitment rules, for one, and they also may be very busy with a lot of emails so it is a safe bet to continue to follow up on email. If you know that a coach can contact you back, follow up the initial email about a week later (or a week after a tournament the coach saw you at) and continue to do so in a similar fashion until you hear something back from the coach. If you know that a college coach cannot contact you back by email, you should follow up only to update that coach on new information, such as tournament schedules, planned visits to the college, end-of-year grades and standardized test scores. Don’t be shy about emailing to follow up! Persistence is good in this case and can help show your interest to coaches and separate you from other recruits and but you on the path to be recruited for college soccer. You can also follow up with a phone call, particularly if a coach is unable to email you back. But do keep in mind there are many rules governing phone calls as well and coaches will often not be able to call you back. If the coach is not able to call you back due to the rules, he or she will hope to answer when you call so you can make this happen by telling the coach the next time you plan to call in a voicemail. You can also email a coach prior to a phone call to tell them what time you plan to call — another way to increase your chances of connecting with a coach. It is particularly good if you pair a phone call with an email. If you use the examples of these sample letters from athletes to coaches and recruiting email templates you will be one step closer to successful college soccer recruitment. Just sending a college recruitment letter to a coach does not guarantee you will be able to play for that college, but it is a necessary step and will get you the information you need to know about your opportunity there. You should contact many schools at different levels giving you the best chance to find the right college fit on and off the field. And here’s the final rule once you start contacting college coaches: Once you make this initial contact with a college coach — and if you remain interest in the school — do not stop following up or staying in touch until you are told there is no longer a soccer opportunity for you at the college! My name is Sally Smith, a 2020 graduate from City High School in Chicago. I am a forward on Chicago FC 02 and I am interested in attending State University because of the school’s academic reputation and strong women’s soccer team. On the field, I have been the leading goal scorer for Chicago FC the last two seasons and I have also played varsity for two years for my high school, making the all-conference team this past season. I plan to study business in college and State University has a really strong undergraduate business program I am interested in. I have a 4.0 GPA and I am on track to take mostly honors and AP classes in school. I also like that State University is in a big city because I am very interested in going to school in city setting. My club team will be playing in the upcoming National College Soccer Showcase from June 6-8 in Orlando, Fla. I saw you are listed as attending, so I have included my schedule below so you can see me play. I am a forward #9 and I will start all the games. My club coach is Joe Footy his email is jfooty@gmail.com and his phone number is 689-234-8876. I really hope you can see me play and I will follow up with you after the event! My name is Sally Smith, a 2020 graduate from City High School in Chicago and forward #9 on Chicago FC 02. I emailed you a few weeks ago about my strong interest in State University and the women’s soccer team and also sent you my schedule for the National College Soccer Showcase from June 6-8. Our club team manager said you attended a game and I would love to get feedback on my play and find out about opportunities to be part of State University women’s soccer. As a reminder, I plan to study business in college and State University has a strong business program that would be a great fit for me academically. If you would like to contact my club coach, Joe Footy, his email is jfooty@gmail.com and his phone number is 689-234-8876. My name is Sally. I am a sophomore and I love soccer! I have played since I was six years old and it is my favorite thing to do. Everyone tells me I am really good and I think I can get a scholarship to play in college. Do you have scholarships for your team? My club team Chicago FC is attending the National College Soccer Showcase soon. Can you come and watch me play if you are going? Let me know and I will send you my schedule. I play forward. I want to study business in college. Does your school have business? If you like me as a player I will check to see if I can study that or maybe I will do a different major since I really like your team! My club coach Joe also said he wants to talk to you about me, so if you want to do that I can give you his information also. I am really excited to talk to you and have you see me play! My name is Sally. I love soccer! I play for Chicago FC. I saw you attended one of my games at the National College Soccer Showcase this weekend. You might remember me. I am the forward that scored three goals during the tourney and I scored that really nice header on a corner kick! I had the bright green cleats and my number was 9. I am really hoping to get a scholarship to play in college. Do you have scholarships for your team? If you think I am good enough to get a scholarship for your team let me know. I would be interested. I think I want to study business. If you like me as a player can you tell me if your school has business? I could change major if I had to because I really want to play for your team. Also, if you want to talk to my club coach, let me know. He said he would call you. I hope to hear from you! I will be a great player for your team! Martin Desmarais, a four-time NEWMAC Coach of the Year honoree and two-time United Soccer Coaches New England Regional Coach of the Year, enters his 11th season at the helm of MIT’s women’s soccer program in 2018 after earning his 100th career victory back on September 6th, 2016. 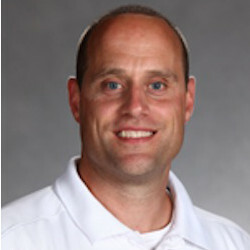 Desmarais took over as head coach of the team back in 2008. He has worked 35+ camps for EXACT Sports. Advice for high school student athletes writing emails to college coaches in the hopes of being recruited.